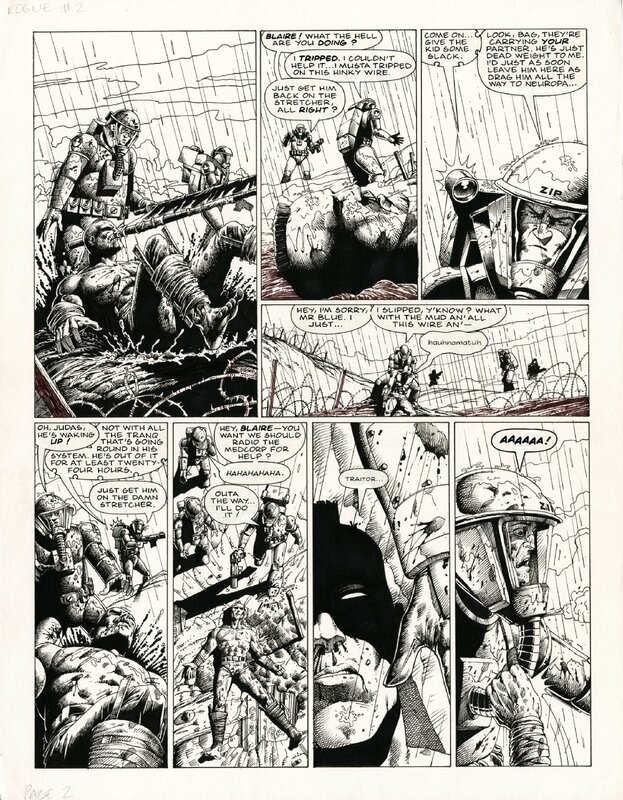 Fantastic ROGUE TROOPER splash page from the story, CINNABAR with pencils by the one of 2000ad's finest, Steve Dillon and inked by the awesome Kev Walker. 2000ad 625, cover date, 6th May 1989. Art is 46 x 36 cm. Active art area is 42 x 32cm.